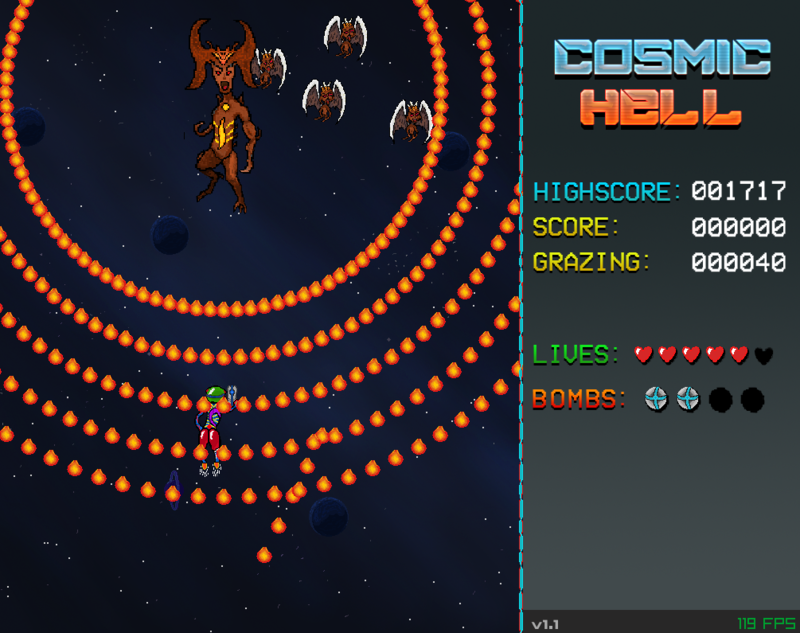 Cosmic Hell is a bullet-hell shooter that implements flocking, shoot and dodge your way through the enemy's bullets in space with an epic synth-wave background music composed by Carpenter Brut. 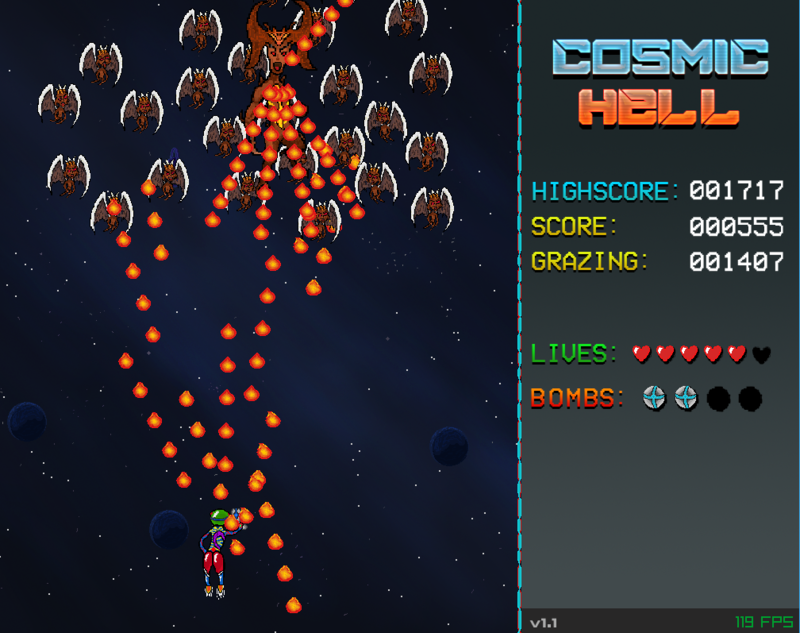 This game is written in C++ using the Raylib library. Also the art is created by me. 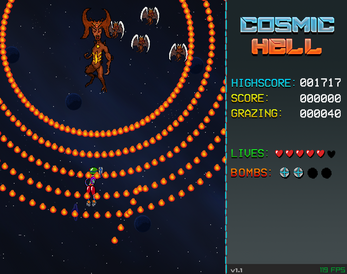 You play as an augmented human cyborg flying through the cosmos, encountering, defeating the archons and their race. Different types of flying (flocking) enemies will accompany the archon to aid their mission in destroying you. 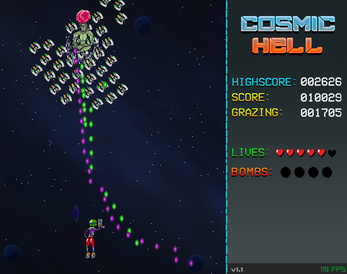 When in trouble you will be able to use a bomb to clear every bullet that has been fired by the enemy. Are you up for the challenge? If you can beat the game without taking a hit (aka a flawless run), email me (which is found at my website alielsaleh.com in "About Me" tab) with a screenshot of your stats or a video of you doing the flawless run, because I have a special reward for you. Good luck out there, it's bloody difficult! Leaderboards do not work at the moment. An update in the future will fix this.